In the years leading up to deploying Optima Predict, Guilford County EMS faced the challenges of ensuring they had the necessary staff to meet system demand and deploying staff to optimal locations throughout the county. In January 2012, Guilford County EMS increased the number of fire station posting locations from four to seven. The county’s EMS units were also covering seven EMS-only bases, for a total of 14 locations that required deployment assignments. The agency’s annual employee satisfaction survey revealed that employees were unhappy with continuous re-assignment to cover the 14 locations. Consistently low scores on the survey indicated the situation was causing significant dissatisfaction among EMS field personnel. Guilford County EMS needed to find a way to reduce unit moves while maintaining the system’s response time performance. The agency reasoned that a reduction in vehicle moves could result in fewer staffing challenges, but wanted to assess the impact on performance before they implemented the change. Guilford County EMS chose to use Optima Predict to analyse current performance and determine the most effective deployment strategy. Critical analysis focused on the concept of decreasing deployment moves by using a smaller number of fixed station locations rather than a more aggressive deployment model. The agency reasoned that a reduction in vehicle moves and re-assignments could result in a more satisfied workforce. The Optima Predict analysis, based on the discrete event simulation model, revealed that travel times remained effectively consistent with the new model, resulting in no substantive decrease in system performance. In addition to locations, the agency was able to use Optima Predict to evaluate and test the optimal times for scheduled shifts based on the new deployment model. Guilford County EMS decided to measure performance with and without the additional posts to determine the impact. The agency used Optima Predict’s Post Plan Builder to evaluate and prioritise the ten most effective posts for each of four periods in a day. The team also used a unit hour utilisation of .55 and a travel time of eight minutes for all responses. Based on running the scenarios in Optima Predict, as outlined in the following table, the agency determined they could reduce the number of posting locations from seven to five. Since 2013, the agency has needed to add only one base to their posting plan. Seven fire station posting locations and seven bases Five fire station posting locations and seven bases. Travel time targets for Delta and Echo responses of eight minutes. Travel time targets for Delta and Echo responses of eight minutes. In addition to reducing the number of posting locations and improving employee satisfaction, Guilford County EMS experienced other positive results from using Optima Predict. For instance, the agency noted a reduction in vehicle mileage and fuel consumption, which resulted in lower operating costs. 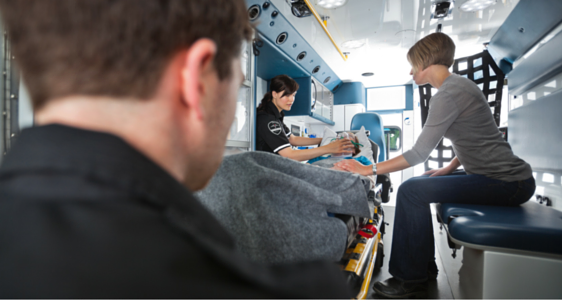 Guilford County EMS uses Optima Predict to evaluate a broad range of both tactical and strategic system decisions, from finding ways to decrease deployment moves while maintaining system performance to analysing the effectiveness of new station locations. Using Optima Predict helps Guilford County EMS evaluate the impact of changes to their practices and plans. The agency can test ideas and concepts in a virtual environment and thoroughly evaluate them prior to implementation. Ultimately, using Optima Predict helped Guilford County EMS reduce posting locations and vehicle moves, leading to more satisfied employees. At the same time Predict afforded many additional opportunities to forecast the impact of diverse changes across the organisation, which allowed them to make informed decisions and prevent potentially costly capital investment errors.